Get FREE passes now for the Oscar®-nominated documentary, KING: A FILMED RECORD…MONTGOMERY TO MEMPHIS, at select AMC theatres, 6pm on April 4, the 51st anniversary of Dr. Martin Luther King’s death. 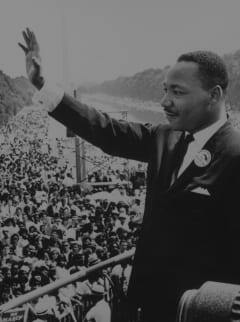 KING: A FILMED RECORD…MONTGOMERY TO MEMPHIS tells the authentic history of the civil rights movement. Hear more about the inspirational documentary from Dr. King’s daughter, Bernice.